Click here to establish an NEHS chapter at your school. 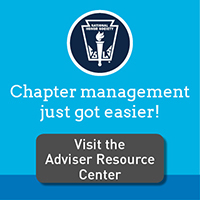 If you are retiring or moving on, or you are the new adviser, please complete and submit an Adviser Change Form. A confirmation e-mail will be sent to the new adviser once the change has been made.